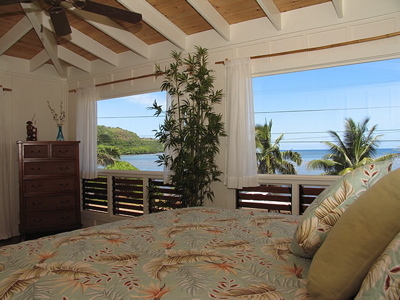 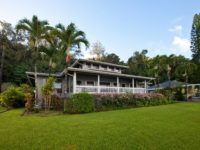 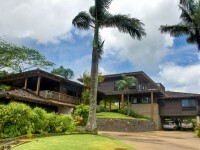 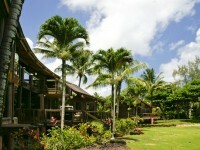 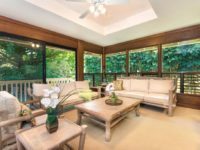 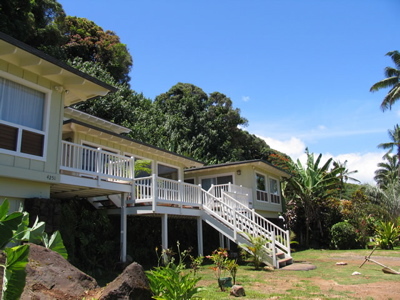 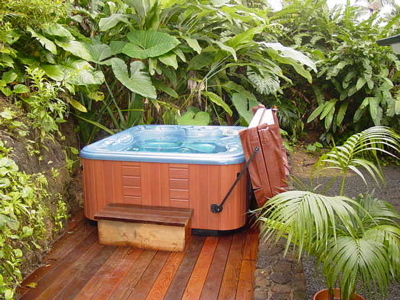 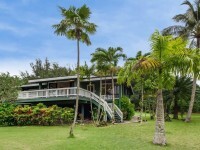 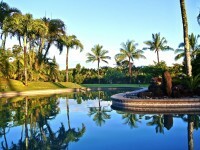 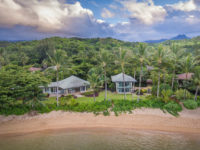 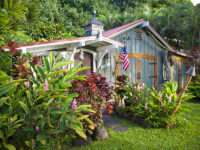 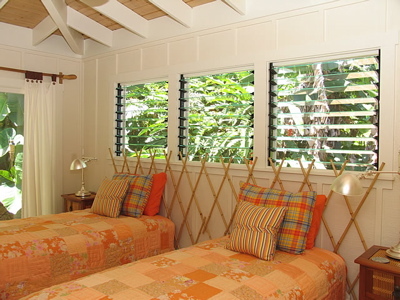 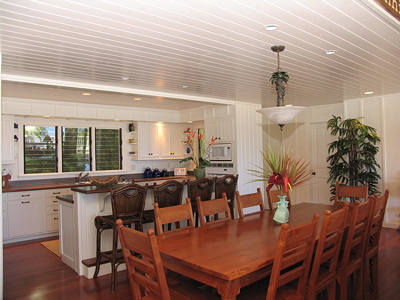 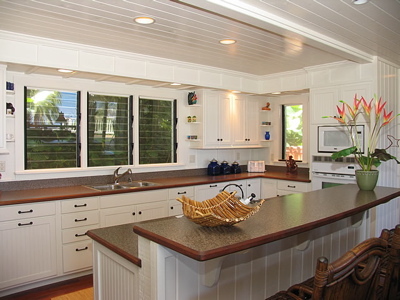 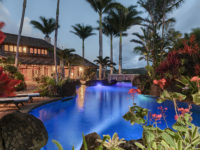 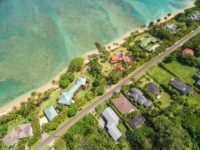 ANINI BEACH, KAUAI VACATION RENTAL: Wade Hale is a beautiful, 3,200 sq feet, 5 bedroom, 5 bath custom island home nestled near the hillside at idyllic Anini Beach. 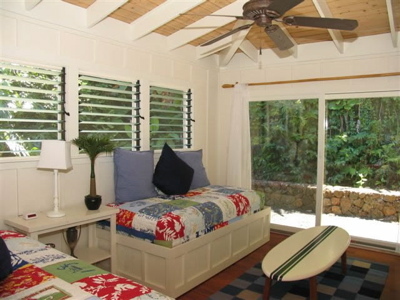 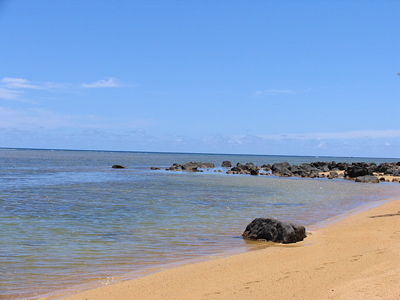 With 650 sq feet of decks you’ll enjoy this tranquil beach setting at Anini Beach where the protected waters allow for year round enjoyment. 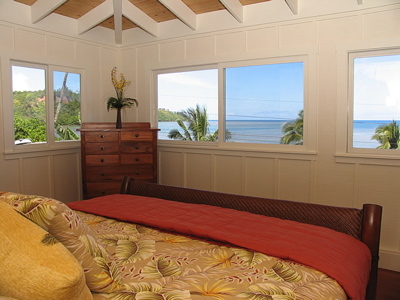 Of the 5 bedrooms, there are 3 beach-side master suites, each with king beds, and en-suite bathrooms. 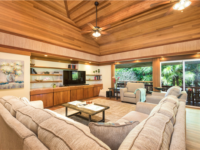 With its custom design and furnishings, Brazilian Cherry hardwood floors and tiled bathrooms throughout, the home offers exquisite accommodation for up to 10 people – with the added luxury and relaxation of a private hot Tub. 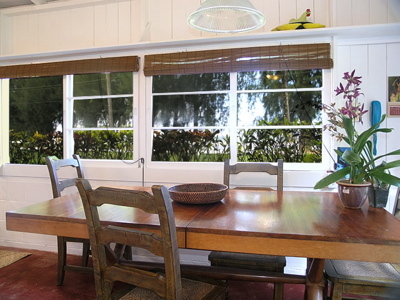 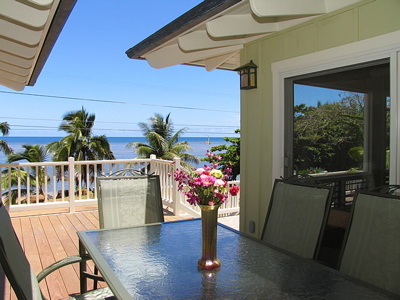 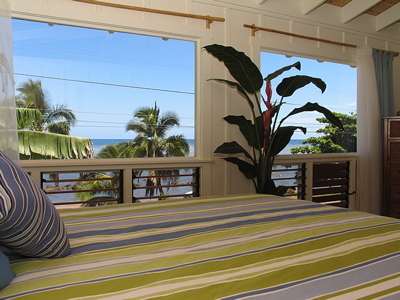 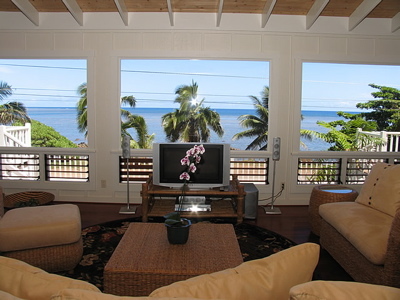 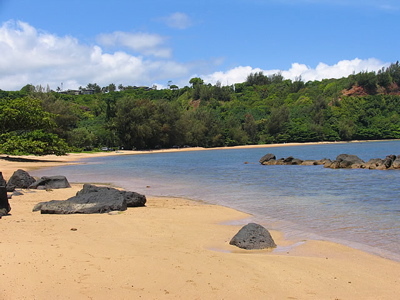 Large picture windows and expansive beach-side lanai allow for open ocean views. The original home was built in the 1940s and was where Marlon Brandon enjoyed his honeymoon.